Is "health bread" a scam? Bakery firms are making big promises: touting premium loaves to help with everything from dieting and flatulence to memory loss and the symptoms of menopause. I enlisted some experts and we took apart 12 supermarket loaves to ask: are health breads a big gluten-loaded con? Once there was white bread, which was nicer, and there was brown bread, which was better for you. Now most supermarkets stock 40 or more different breads. They’re far more than the building blocks of a sandwich: some “health breads” claim to make you fitter, slimmer, to improve your memory or even to stop you eating so much bread. Some of the designer health breads cost five or six times what a normal loaf does. They are imported from France, Italy and Germany. Yet many of the products have little or no health value at all – and the claims may be in contravention of labeling law. Many of these breads also taste horrible. But people don’t buy them first for flavour. One of the brands, Burgen, calls itself “bread shaped health food”. One of the loaves is flavoured with linseed and soya and claims to help with symptoms of the menopause through adding natural hormones to the diet. But medical professionals told us that was “extremely unlikely”. Burgen, which is owned by Britain’s biggest bakery company, ABF, claims a whole range of medical benefits for its loaves, but our experts poured cold water on most of the promises. We requested scientific evidence from Burgen, but it didn’t provide any. Burgen breads cost £1.40 each in supermarkets, more than twice as much as basic bread. There are breads that promise healthier bones and better brain function and memory, and of course, relief for a range of allergies to gluten, wheat or excess yeast. But many of the claims are misleading or unproven. Our survey found that expensive slimmers’ bread from WeightWatchers and Nimble is almost identical to and just as fattening as budget white bread at less than a third the price. Some of these breads address problems – like healthy bones – that hardly exist among the sort of people able to pay for designer loaves. Though the European Food Standards Agency last year introduced much more stringent controls on health claims on labels, health practitioners were dubious about many of the claims listed on the breads we examined. “Proper” scientific tests are rare, says Professor Colquhoun, whose field is pharmacology. When they do happen the effects of supposedly healthy ingredients “seem to be remarkably small”. Chris Young of the Real Bread Campaign said: “Forget the fads and so-called functional factory foods: Real Bread is a delicious, all-natural staple food that’s been making a valuable contribution to healthy human diets for thousands of years. “Functional foods” like fat-reducing yoghourts and healthy breads are a market worth £1.49bn in 2010 in the UK, and still growing. 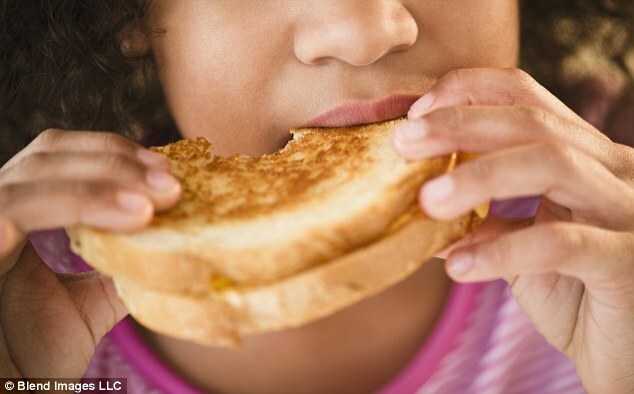 In fact: “Not nearly as different nutritionally from white bread as the adverts claim,” says Professor Colquhoun. Protein and fat content is higher than usual, because of the seeds. Fibre content average for healthy bread. But high also in sugar – three times as much as other health brands. Taste test: Strangely limp and damp. Pleasant nutty additions – much better toasted. “Yukky,” said the child taste testers. In fact: Very high in fibre – three times as much as white bread. Average fat content and high in salt. Lack of wheat means suitable for wheat-sensitive people. Taste-test: Masochism in a packet – builder’s rubble flavoured with gone-off yoghurt. “Too sour and too salty,” said the children. In fact: marketed to people trying to lose weight, this bread is more fattening than all but one in the survey, white or brown. And though it is three times as expensive, the bread is no more healthy than ordinary supermarket white. In fact, the WeightWatchers loaf has slightly more saturated fat (the bad kind) than own-brand white and is unusually high, for a healthy bread, in salt and sugar. The boast of “45 calories a slice” is silly, since what WeightWatchers calls slices are less than half what passes with normal sliced bread. In terms of calories by weight, this bread has 243 calories per 100 grams – and so is more fattening than any other bread, white or brown, in the survey. WeightWatchers said they were not responsible for the pricing of the breads they licensed. Our experts were shocked. Taste: Airy and sweet, no flavour. But the children liked it, predictably. In fact: Calls itself low in fat but has more saturated fats per 100g than Vogel’s and twice as much as ordinary sliced white bread. As with WeightWatchers, above, the boast of ‘51 cals per slice’ on front of packet is meaningless when a slice is ridiculously small. The bread’s real calorific value (by weight) is the same or higher than other wholemeals (233 kcals per 100g) that don’t claim to have a role in weight loss. Boasts “high in fibre” but actually the amount is just average for wholemeal bread. Contains E number additives including emulsifiers and preservative. In fact: Protein levels of 8.5g per 100g is hardly more than basic white bread and much less than some other healthy loaves. The fibre levels are less than some wholemeal breads – and so people won’t be feeling more satisfied than they would with the others. Taste: Apparently made from cardboard and desperately in need of salt – yes, you probably would eat less. The facts: “The added vitamin D is really irrelevant in this format,” says Catherine Collins, and Burgen is using an outdated RDA. But the extra calcium could be useful to those on a milk-free diet. Unlike most of the healthy breads, Burgen does use the industry‘s normal chemical emulsifiers and preservative. The facts: Claims for soya and linseed are not proven, and Burgen failed to provide the scientific evidence we requested. “Only a third of us have the bowel bacteria for converting plant substances into phytoestrogen,“ says Catherine Collins, “so there’s little benefit for most of us in choosing this bread fror anything more than taste. Whole linseeds are likely to pass straight through the body. A University of Auckland survey of 30 studies concluded that phytoestrogen from plants had no effect on the symptoms of menopause. Taste test : Pleasant range of seeds. True that it “helps you feel full“: a bit like a whole meal in a vegetarian restaurant. Taste-test: You’d have to be terrified of salt to consider eating this. Dog ate it, but children would not. The facts: A good bread both for wheat allergic and people who object to industrial yeast, which may contains some worrying chemicals. But it won’t have less gluten. Research confirms that rye bread can maintain the feeling of fullness in normal-to-slightly-overweight people, because the digestion process is slowed. Can it really stop wind and bloating? Catherine Collins say that, in people with sluggish or sensitive bowels, rye will cause those symptoms just like wheat. High levels of sugar for health bread, at 3.1g per 100g. Taste test: Strangely delicious, malty and not so tangy as most sour-dough natural breads. Less like bread than some cake in a weirdo vegan restaurant. The children said it was – amazingly – too sweet. Facts: Impressive bread, inexpensive bread, low in sugar and fats and very high in fibre. May use slow yeast technique but doesn’t say how much. Per 100g, 20% fewer calories than WeightWatchers white sliced, and considerably cheaper. Taste: OK, a bit bland. Not child friendly – would hurt if you dropped it on your foot. 42 comments on this story Please comment below. Depends on lifestyle and exercise as older people like me need more fibre than say a very active youth. Bread is bread you buy the one you like as it tastes better. I like Warburtons.